The Corvette Stingray is bringing the first video and telemetry system into a car. 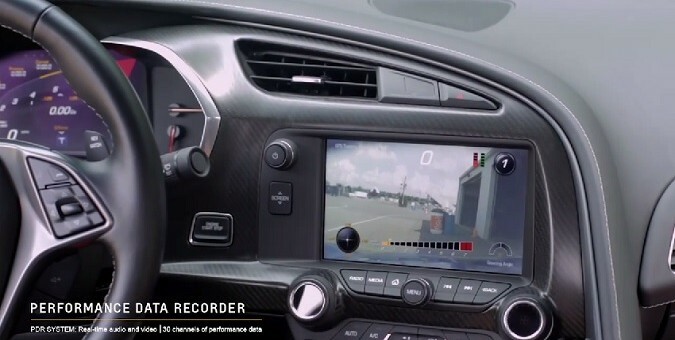 Performance Data Recorder allows drivers to record their scenic drives or track experiences while capturing real-time performance data, then watch video playback and analyze their technique and share their drives on social media. See how Corvette Racing drivers, Tommy Milner and Ron Fellows take on the PDR track challenge. Connect with Corvette fans on Facebook https://www.facebook.com/corvette or follow @Chevrolet on Twitter. 2015 Corvette Z06: GTR Beware! The High Performance Bargain Benchmark is Back!